N.E.mation!8 – Are You Ready to Kick-Start? The 8th edition of N.E.mation!8 is back and ready to kick start a brand new year with a brand new theme! This will be my third year being involved in N.E.mation! I was part of the N.E.mation! journey from N.E.mation! 6 and this season is N.E.mation! 8, and I am very happy to be part of this journey to share and encourage everybody to be part of the N.E.mation! adventure and journey. N.E.mation! 8 is now open for entry! It’s time to share this with your friends, loved ones and family about N.E.mation! 8. When I was part of N.E.mation! 6 and N.E.mation! 7, the talents and creativity by our students were of the highest level and it was very heart warming and touching too! I am an avid supporter of the N.E.mation! journey and I strongly encourage all of you to be part of the N.E.mation! journey, either as a participant or as a supporter (like me) !! Some of you may ask, what is N.E.mation! all about? N.E.mation! 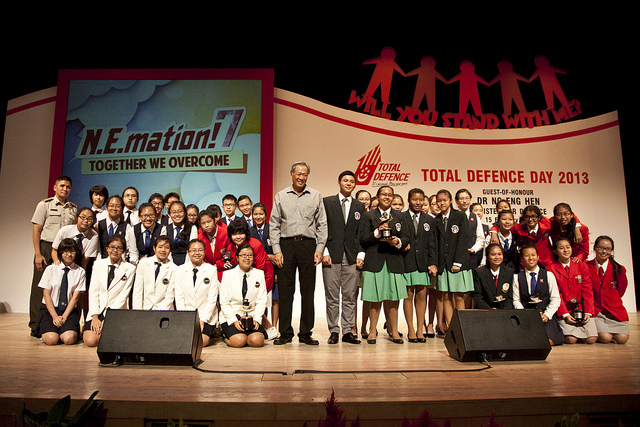 is a digital animation competition organised by Nexus for youths to express their thoughts on Total Defence. Into its eighth season this year, the competition has proven highly successful, with more than 9,900 students participating since its inception in 2007. With training and guidance, students with no prior experience in animation have been able to produce clips of broadcast quality to screen on free-to-air television. Some of these clips were even selected for international animation festivals and won several awards. This year’s N.E.mation! 8 theme resonates with me a lot, everybody plays a part in Total Defence, no matter who you are. We all have a part to play, no matter how big or small our part is. This year, students are asked to use their creativity to produce storylines centred on the theme of “Because You Played A Part”. The animation clips produced by the top 10 finalist teams will be judged by a panel comprising industry professionals such as Melvin Tan (Senior Animator, Blue Sky Studios). 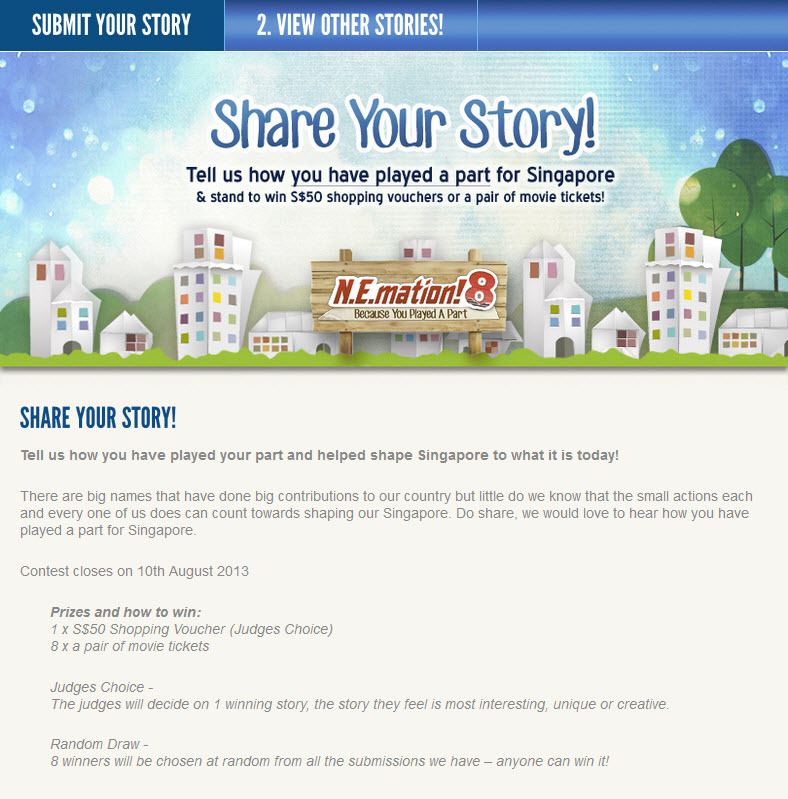 In addition, the public can vote for their three favourite clips come January 2014 at www.nemation.sg, Facebook or via SMS. 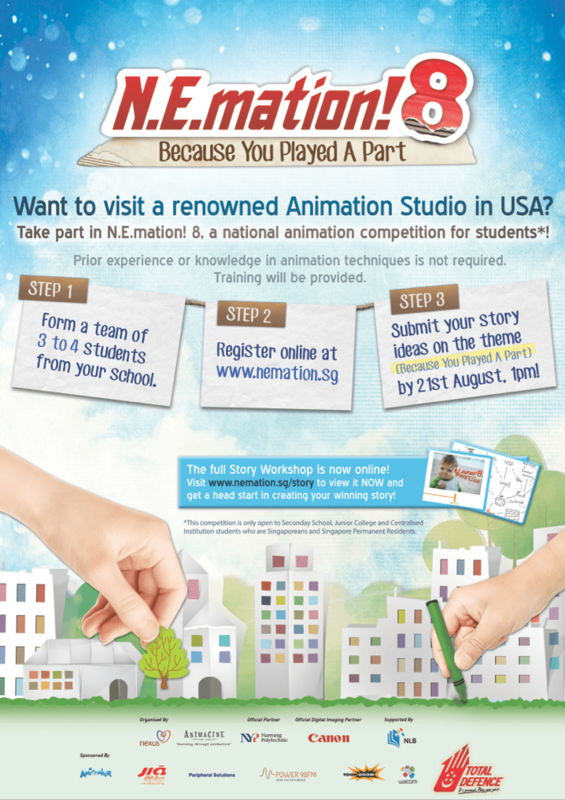 The winning team will win a coveted trip to visit a renowned animation studio in the USA! How do I get started in the N.E.mation! 8 journey ? Just 3 Simple Steps !!! 1. Form a team of 3 to 4 students from your school. 3. Submit your story ideas on the theme (Because You Played A Part) by 21st August 2013, 1PM. 2. Receive coaching on your story ideas when we visit you in school, or when you attend our Public Story Clinic session*! *The option to choose your preferred Public Story Clinic session is available when you register online. 83% of all past N.E.mation! Top 10 teams attended this same Story Clinic session and this is why you need it too! If you are not eligible to participate in the competition (like me, no longer a student and over the age limit too! ), don’t despair, you can still be part of the N.E.mation! 8 journey, the fun, excitement and adventure! All you have to do is to join the N.E.mation! 8 – Share Your Story Contest! contest on Facebook that is opened for all ages to participate (for Singaporean & Permanent Residents). Simply submit a story online on our contest page to tell us how you have played a part for Singapore and stand to win either a $50 shopping voucher or a pair of movie tickets! Boys and Girls, share about N.E.mation! 8 with your classmates, friends, family and loved ones. Let your creativity and talents showcase here! You will definitely enjoy this learning and wonderful journey in N.E.mation!. Ladies and Gentlemen, let’s all Support N.E.mation! 8 Because You Played A Part too! Remember Because You Played A Part and you can make a difference and an impact! Do you remember this entrance?